A camp providing recreational and/or sporting facilities for children during the summer holiday period. "Six weeks to plan for and I've got to work, let's book them into a summer camp." In between all the ice-creams and splashing about in pools, many of us will have to work this summer. As we all know, the most popular holiday clubs fill up quickly. So it's better to book now, before we have to think about a Plan B. This is why we're sharing a few of the recommendations available on the Kinfo app. 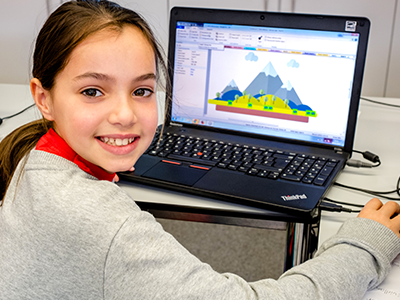 Coding, colouring, running, forest camping... there's something for everyone, whatever their (creative vs nerdy vs sporty) genetic makeup may be. But whatever we go with, it's essential that the kids wake up excited to go. Guilt and heat don't mix well. Teachers are sourced from the best colleges in the country, so prices aren't cheap, but if coding is your kid's thing this is the place to go for more involved study. One parents kids have made mobile apps, 3D games, websites and more. Impressed? Find a course here. 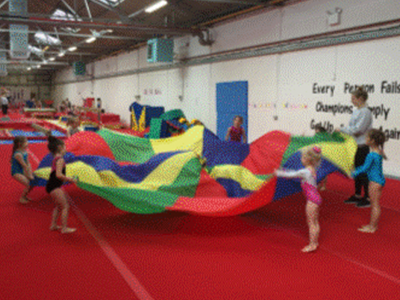 "Brilliant place to learn gymnastics," says a mum or 2. A breakdown of a daily class can be viewed here. Credited with the prestigious Gym Mark (it's a safe, child-friendly, affiliated club) it was recently awarded lottery funds to help it develop and grow into a wonderful sports facility. 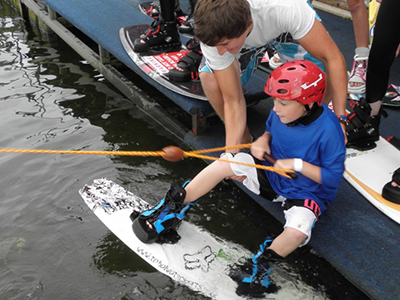 Water sports summer camps at Thorpe Park, where the M3 meets the M25, £65 per day (5 days for the price of 4). 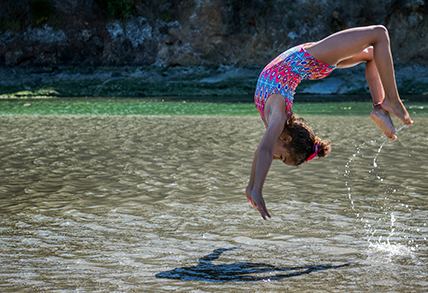 For the full, exciting lowdown (water treasure hunts, cable kneeboarding...) click the link. Recommended by a mum of 2. Kids are separated into two age groups, 5-7 and 8-11 years. 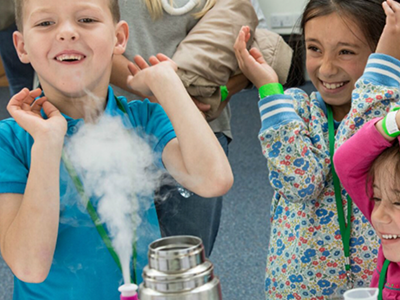 Science experiments, crafts and outdoor play are included in the camps, bookings can be made here. "Amazing, run by an energetic teacher," says a mum of 2. Originated in Oxfordshire and growing fast. A choice of 3-5 day holiday camps start at £249. If you haven't time to take them camping yourselves, these nature outings are priceless. Light fires, toast marshmallows, make pizzas, play archery... "My children loved everything about it," said a mum of 2. "Forest school sessions involving mud and games and shelters and fires and sticks and climbing and squelching," says a mum of 2. 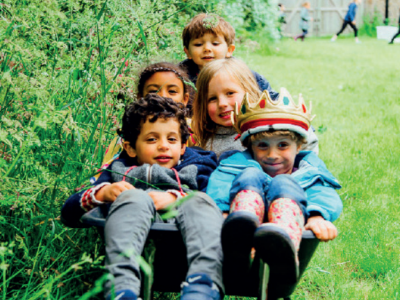 Held at St James Park in Walthamstow, kids can get involved in bug and egg hunting, potion-making and hammock chilling. For ages 4-11. 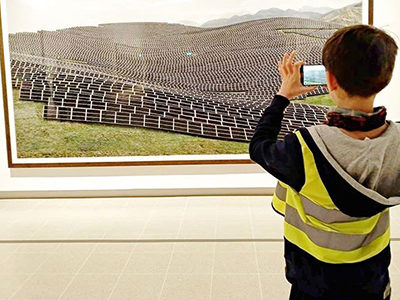 Trips to museums and galleries and creative projects enjoyed indoors, led by art historians and contemporary artists. The intention is for kids "get to know" famous artists. "Well worth checking out," says a mum of 2. For ages 6-11, £49 per day, less for longer bookings. Summer camp details will be on their website from next week. 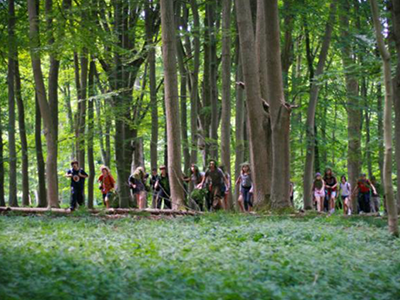 A team of passionate professionals (former teachers, artists, musicians, chefs etc) has teamed up to create a way for kids to reconnect with the environment: they organise sleepover camps, but also after school and days camps for ages of 3-11. This mum who is struggling to "find time to go outdoors and away from screens" highly recommends it on Kinfo. Oh, and the "team is fab". Of course. 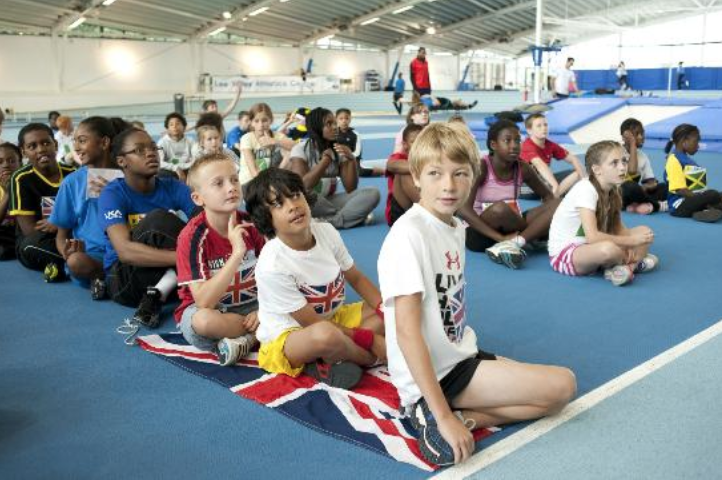 Morning and afternoon sessions for kids aged 6+ are held at the Lee Valley Athletics Centre from July. "Affordable, fun and using Olympic equipment," raves one dad. Budding athletes can try their hand at hurdles, high jumps, sprints, javelin and more. 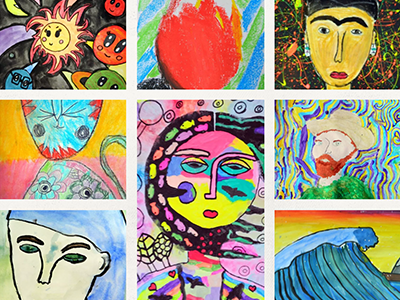 Art appreciation for arty kids. 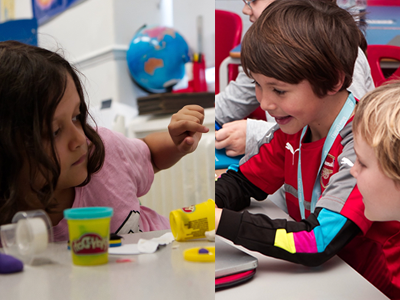 "Very nurturing, fantastic learning place," says a mum whose daughter returns regularly. Classes take place near to Woodside Park on the Northern line and there are all-day visits to the National Gallery, details here.